Multi-award winning writer Lauri Kubuitsile who writes from and lives in the village of Mahalapye, Botswana has recently been nominated for the Caine Prize for African Writing. The Caine Prize is named for the late Sir Michael Caine, former Chairman of Booker plc and was first awarded at the Zimbabwe International Bookfair in 2000. Past Caine award winners include Leila Abouela and Henreitta Rose-Innes and literary heavy hitters such as Nigeria’s Chimamanda Ngozi Adichie, Chika Unigwe and Uwem Akpan have been on past shortlists. Clearly getting on this list is no walk in the park. Lauri is the first Motswana to have ever been shortlisted for this prestigious award. 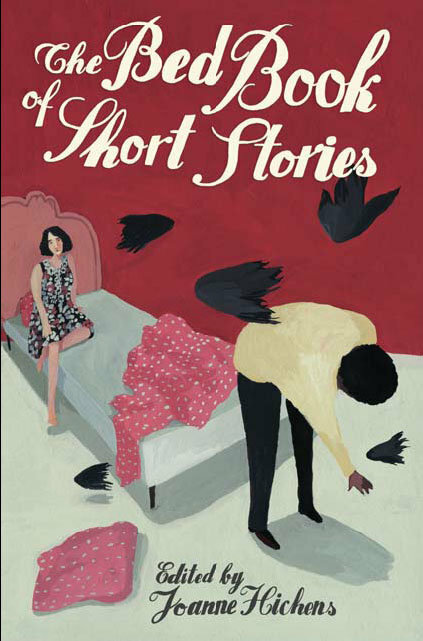 Her story In the Spirit of McPhineas Lata is from The Bed Book of Short Stories, a beautiful anthology edited by Joanne Hichens, and was one of 5 stories selected from 136 submissions sent in by publishers on behalf of writers from across the continent. A bachelor of science (science education) graduate, she began writing seriously, relatively late in life just before the age of forty and within 7 years has had 14 works of fiction published including but not limited to genres such as romance, children’s literature and detective novellas. Her short stories have won numerous awards and we speak about these in some detail. TJ: Why do you write? LK: I came to writing because of my love of books really. I wanted to be a more a part of books so I climbed in as a writer. TJ: For whom do you write? LK: To be honest, and perhaps this is very selfish, I write for me. I like to write stories that I like. If others like them too then I've been lucky. This is, of course, not always the case. TJ: Which writing awards do you have to your name? I was twice shortlisted for the Commonwealth Short Story Contest quite early when I started writing. In 2005 I was one of three writers shortlisted for the Orange/ Botswerere award for Creative Writing, and I won it in 2007. My children’s book Mmele and the Magic Bones was shortlisted for the UK African Writers Prize in 2007. Another big one for me was the AngloPlatinum Short Story Contest in 2007. I won a prize for the most creative story (I won a diamond and platinum necklace) and I won first position (R25,000) in the contest. It was the first time a non-South African had won a prize in that contest and the first time in the history of the contest that a writer won two prizes in the same contest. I’ve twice won first position in the Golden Baobab Prize an award for African writers of stories for children. I won the junior category in the inaugural prize (2009) and the senior category last year. And both years my stories were also short listed in the category I didn’t win. TJ: Congratulations for being shortlisted for the Caine Prize. What do you think is the importance or significance- if any- of winning awards or being shortlisted for them, to writers? LK: I can only speak for myself. They’ve done a lot to get my name out there. They’ve also given me confidence that I’m doing something right. As for the Caine, I think most African writers have it some where on their dream list so I was, of course, completely flabbergasted when I heard I made the shortlist. I never expected it especially with that story. With the Caine there will be added benefits. When we go to London for the awards dinner (6-15 July) we stay for just over a week and during that time we attend various symposiums and readings and they set up appointments with agents and publishers in UK. That could be important, I’ll have to wait and see. TJ: Have you noticed any immediate or long term 'benefits' for you after winning awards in the past? LK: There is the media attention which has its benefits. There is also prize money which equals time for me. Any money earned from prizes alleviates me from scrounging around freelancing or editing or doing other non-fiction writing activities and lets me concentrate on what I love. TJ: The short story that has been shortlisted for the Caine prize was published in South Africa by the independent publisher Modjaji what does that say, if anything, about publishers/publishing in Botswana? In other words why aren't local publishers crawling all over each other to publish a multi-award winning writer such as yourself? LK: No – no one is crawling anywhere near me. When I was shortlisted I got emails of congratulations from only two of my book publishers (I currently have books published with five publishers, two are in Botswana) both are South African trade publishers. I don’t think publishers here give a hoot about any literary prizes because most of them are not book and writer lovers. It may sound bitter, but that’s how it appears. TJ: In his online article - Email from America: The 2011 Caine Prize: How not to write about Africa, Ikhedi R. Ikheloa posits that this year's shortlisted stories are 'mostly lazy and predictable' feeding a fly infested, no-technology stereotype of Africa. He asks whether this is "the sum total of our experience, this humourless, tasteless canvas of shiftless Stepin Fetchit suffering?" What would you have said to Mr Ikheloa had he asked you this question? LK: Of course I saw that article yesterday and it pissed me off on many levels. I’ve been following the Caine for many years and if anything this year the list is finally looking wider for stories, more inclusive with my humorous story and a murder mystery by one of the South African writers. I think each of the stories on the shortlist is well written and to describe them as “lazy” is disingenuous; I wondered if he had read all of them. I do agree to some extent that African writing has often fallen back on the sad stories of the continent. But I think it really depends how those stories are written. If they are written to latch on to the perceived hopelessness that the Western world like to repeat in its false narrative about Africa, then yes, I don’t think writers should play into that. But if your story is a sad one with a core of truth about the universal condition, then it is a story that must be written. And I don’t think putting a cellphone in a story makes it modern, that’s nothing more than window dressing. As for his critique of my story, well he is entitled to his opinion. I think perhaps he didn’t understand it as I intended. It is not, of course, a sad African tale, nor is anyone drunk in it. In that article he also attempts to make the point that writers seem to be writing sad African stories in the hope that they make it to the Caine Prize. This perhaps shows his lack of understanding about the Prize. The Caine unlike other prizes does not allow direct submission by the writer. The editor or publisher must submit the stories which are already published. I’ve had stories submitted to the Caine twice before, serious, sad-ish stories, ones I thought might stand a chance of being shortlisted, they were not. When the publisher at Modjaji told me she would be submitting McPhineas I laughed and told her to go ahead as I was sure it had no chance and yet there it is. I give the judges some points for allowing the definition of African writing to be more inclusive, something Rre Ikheloa seemed not to appreciate. TJ: What does it take for a (an African) writer to be noticed by a panel of international judges? LK: I really don’t know. To be honest contests are subjective. I think you need to get the basics down and then it is really up to what that group of judges likes. I can give a perfect example. My story The Christmas Wedding which won the two prizes in the AngloPlatinum Short Story Contest was recently seriously bashed by a quite prominent South African editor. It’s just the parameters of this game. It’s subjective and you’ll never please everyone. TJ: What is your general feeling about writers and writing in Botswana? LK: I think people are trying but under fairly harsh conditions. We have no trade publishers which severely hampers the growth of our literature. Batswana don’t have a lot of disposable income to buy books which are far too expensive, which is another problem. Writers here need to be very disciplined and serious if they want to be a success. We have a few people who I think are taking their writing seriously and I’m excited about that. TJ: How practical - financially - is being a full time writer especially in Botswana? LK: It is almost impossible. I’ve had many lucky breaks. Right now I’m able to make enough to survive only because five of my works of fiction are prescribed in government schools in Botswana; two of my own books (The Fatal Payout (junior secondary) and Mmele and the Magic Bones(std 5)) and three collections of short stories I wrote with Wame Molefhe and Bontekanye Botumile (std 5,6,and 7). But honestly when I started out I really had to hustle to keep the money coming in. I freelanced for many local and international publications, I wrote radio scripts for Educational Broadcasting, I worked for some of the online writing sites like elance. I seriously worked. I remember once having to write 100 articles for a legal website in a week. I did it because I committed to doing it, but I nearly died. I’m a bit of a pit bull when it comes to a goal I set my mind on. Initially my goal was to survive on writing- writing anything. And I did. Then my goal was to survive only on my fiction writing. I’m there now but not in a solidly sustainable way, but I’m working to improve that. TJ: You are involved with an ongoing Read-a-thon, who is it targeting and why have you decided to initiate one? LK: The Read-a-thon is a joint effort of the Writers Association of Botswana (WABO) and the Reading Association of Botswana (RAB) in conjunction with the 7th Pan African Conference on Reading for All which is being hosted by Botswana this July. As the vice chair of WABO I was asked to be on the organising committee for this conference and the RAT was one of my tasks. I think the point of it is to get Batswana more involved with what is essentially an academic conference. My hope is that it could continue as an annual event to get our kids reading books. My congratulations to Lauri Kubuitsile, as a Motswana and lover of words I am proud to have one of our writers telling her story far and wide, the best way she knows how. I cannot speak for Africa but Precious Ramotswe and her detective agency aside, I hope local writers and publishers alike, and in turn international audiences, will begin to look at and approach writing from Botswana in a fresh and enthusiastic way. Lauri, I think it's fantastic that you're getting recognition as a writer! Your wide range of stories shows a true creative spirit and that's clearly recognised by the number of awards you've received. Writing and reading is a subjective world, and there will always be critics who forget that their perception of a story is more a reflection of their inner world than it is of the writer's intention. Good luck for the Caine! Lauri, I'm always blown away by your combination of passion and sanguine realism. But basically, you're a great writer who works really hard and thankfully is getting the attention you deserve -- including this wonderful interview. Thank you Lauri and thank you TJ! I like to discover what makes writers tick - and this article gave me a peep into the heads of two women I really respect.